Courtney is originally from here in Metairie. She studied at the University of Louisiana at Lafayette. She actually worked in the legal field for five years before getting involved in dentistry. Today, her favorite part of her job here at Nelson Dental Care is being able to help patients and work with them so closely. Courtney is happily married to Dr. Nelson, and they have a cat named Lucy and a dog named Charlie together. Her hobbies outside of the practice include traveling, going to Saints games, and indoor cycling. 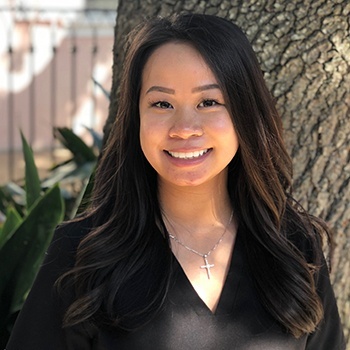 Victoria hails from New Orleans, and she’s one of the newest members of our dental team. 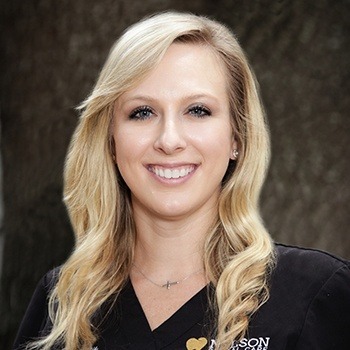 She studied at the University of Louisiana at Monroe and is certified in local anesthesia, nitrous oxide, and CPR. 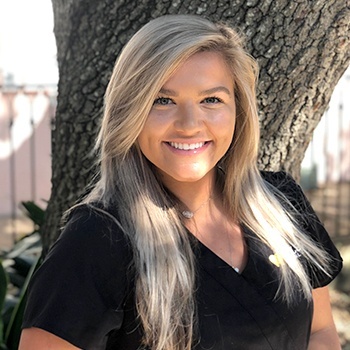 When it comes to what she likes most about her job, she would have to say interacting with patients, being able to educate them about the importance of oral health, and the happiness she feels when she sees positive changes in their smiles over time! Victoria is one of five siblings, and she’s the baby of the family. You’ll be surprised by her height in person – she’s only 4’9! When she isn’t busy at work, she enjoys shopping and eating. Ocean attended Blue Cliff College for her education and is trained in four handed dentistry. She’s also EDDA certified, as well as in CPR, dental radiology, coronal polishing, and dentures. Today, her career in the dental world covers one year and counting. She loves being able to build such strong relationships with her patients! Ocean comes from a HUGE family of 24 (!) people. Whenever she has free time, she enjoys playing fetch with her dog Clyde and going to the beach for some much-needed relaxation.